Just Try It | Food It Yourself! I suffer from migraine headaches. My entire immediate family does, too. Every migraine sufferer’s triggers are different, but it is frequently suggested that chocolate, red wine, and some cheeses should be avoided. You can find out more about common migraine triggers on Medicinenet.com. Here’s the thing though. Lately I’ve noticed that my tolerance for some of my previous triggers has increased. I don’t feel like my brain is in a vice every time I have a stressful day. I can snack on Parmesan cheese or even sip a glass of Merlot without being nauseated and in blinding pain half an hour later. I can only guess at why this is the case, but it got me wondering, can I tolerate chocolate? 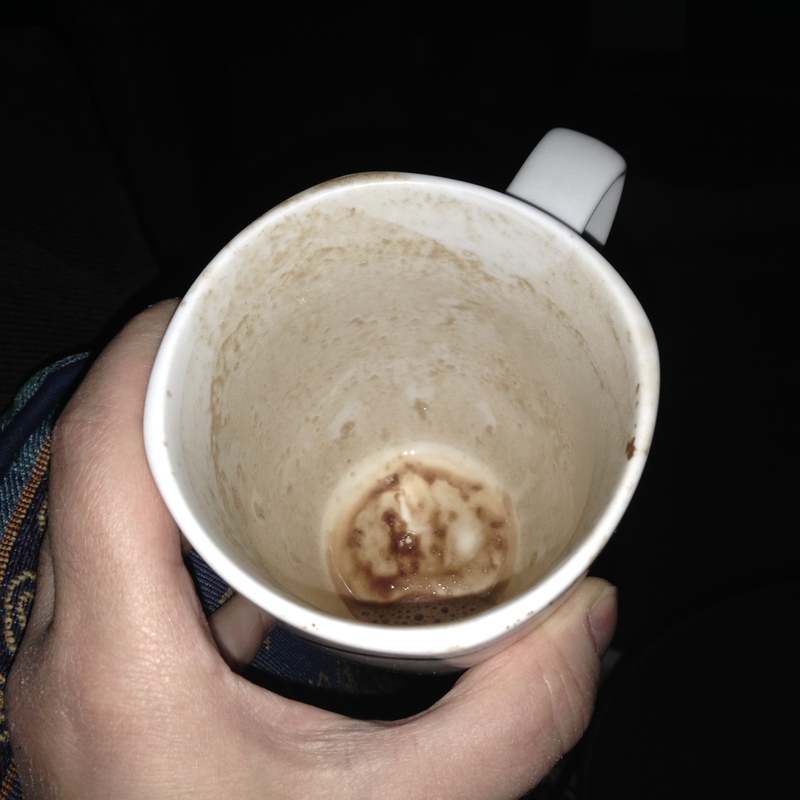 And, since the cold weather has settled in to central New England, could I specifically tolerate hot chocolate? The only way to find out was to hit the grocery store. Did I buy a box of foil envelopes full of sugar, powdered dairy product and a smidgen of fourth-rate cocoa powder? Of course not! As a DIYeter I was bound by personal honor to purchase one tub of decent quality cocoa and a half gallon of soy milk. I also bought some 1% cow milk for Mr. Food It Yourself. I’ll tell you about my milk issues later…it will take its own blog entry to explain. Momables has directions to stir up a family’s worth. Of course Martha Stewart has a recipe for home-made mix. Well Plated has a customizable recipe that starts with chocolate chips. 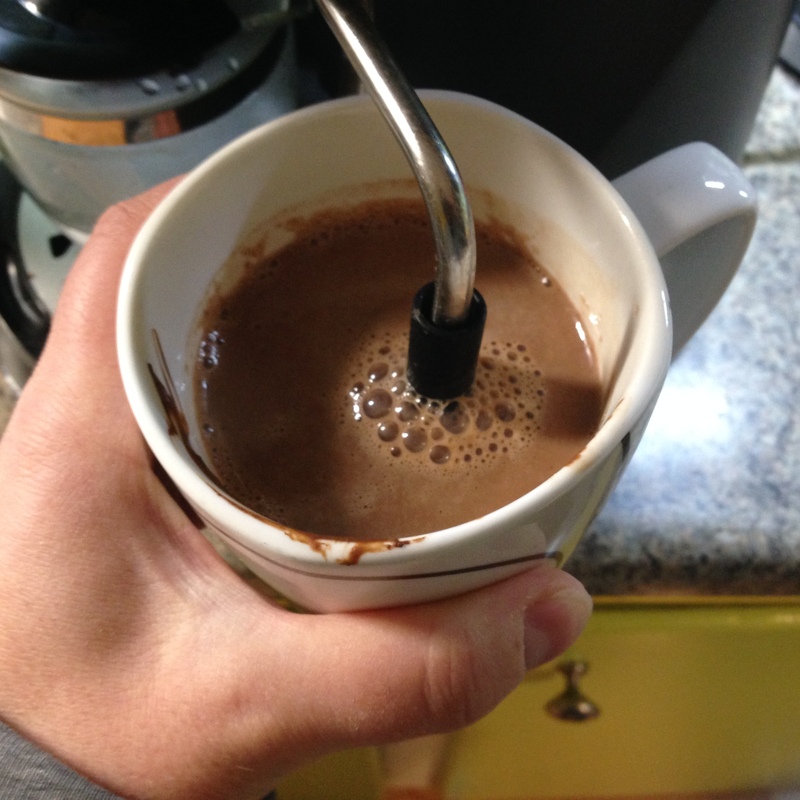 Here’s another Instructable, by jonesaw, for one cup that starts with chocolate. 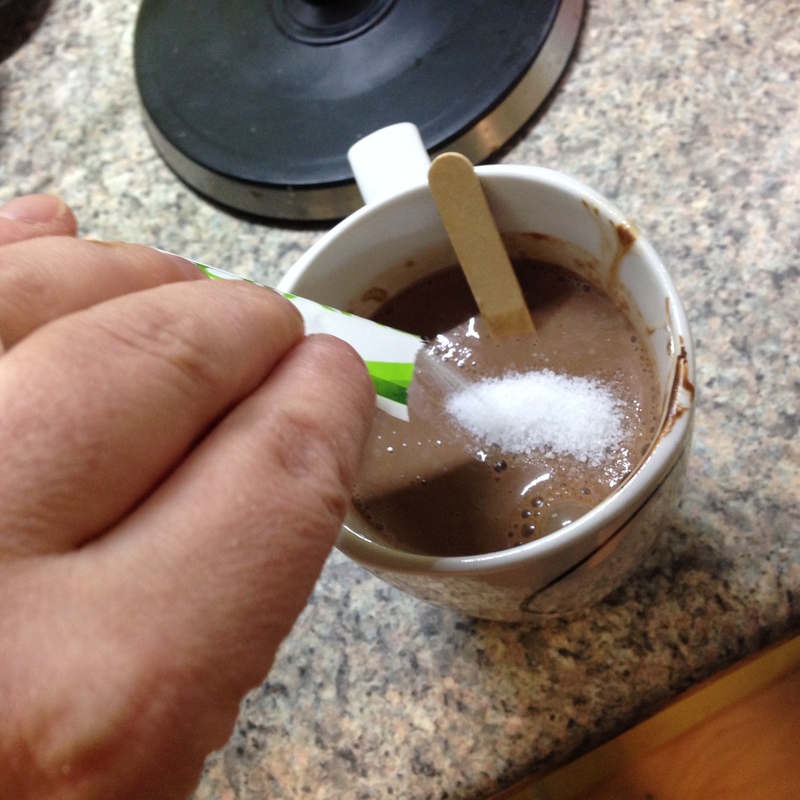 Mixed 1 TBL cocoa and a pinch of salt with just enough water to make a thick paste. This will prevent lumps from forming when I add the soy milk. I added 12 fl.oz. of soy milk and one stevia sweetener packet. You can use any milk-like product you want and sweeten with whatever your heart desires. I’ve heard creme de menthe is good. That was just enough time for my counter-top cappuccino maker to heat and pressurize. You can totally use a microwave or the stove top as a heat source. 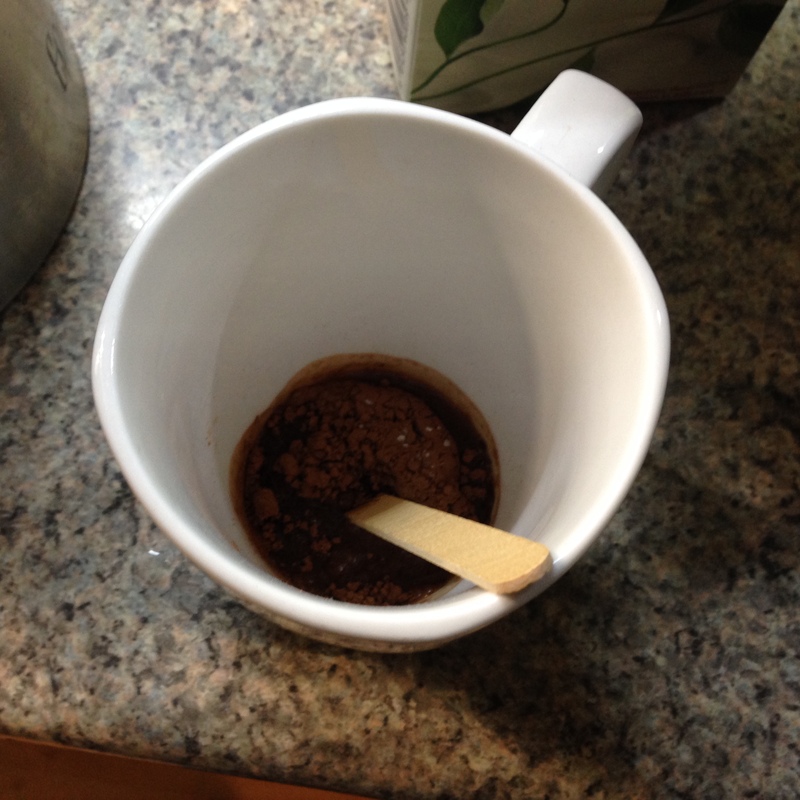 I’ve seen the steamer used to heat beverages in coffee shops, though and I wanted to give it a try. The steamer wand took a few minutes but it did get the job done. Look at that foamy top! That does not happen in a microwave. Totally worth it. Will I pay the price for enjoying this cold-weather treat? Only time will tell. Like 20 minutes should be enough time, though. The result? It was delicious. It made the cold, gray, late October afternoon a little brighter. Yes, the last picture was taken in a darkened room, as Mr. Food It Yourself is preemptively making the house as migraine-friendly as possible. However, this may be unnecessary as I have no pain, nausea or visual disturbances as of yet. I’m not saying I’m going to start eating a lot of chocolate or drinking red wine with abandon. However, it’s good to know that I can have a little chocolate when I want it. 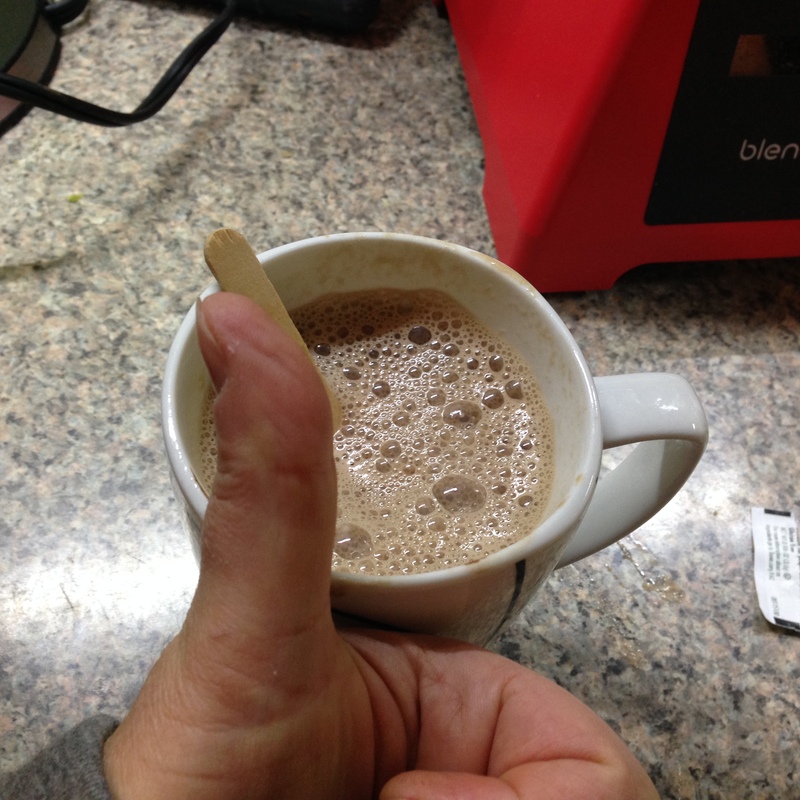 It is also good to know that really, really good hot chocolate is super simple to make. You don’t even need to rely on “instant” products to get your cocoa fix quickly. What’s your favorite home-made hot beverage? Tell us about it in the comments section! 15+ hours later and still no headache! I’m wondering if the SSRI’s have anything to do with it. Personally, I prefer white hot chocolate, but finding some that’s actually good is a challenge. Also, I’ve recently had a craving for hot carob, but haven’t gotten around to checking health food stores for carob powder yet. I bet you could use some good quality white chocolate in the recipes that start with chocolate chips or bars. *spoiler* It has nothing to do with my tummy and everything to do with my brain.